With food waste from local manufacturing threatening to overwhelm available waste treatment capacity in Grand Rapids, Michigan, the City has begun a project to convert that waste to energy. Tetra Tech is leading the design phase of a $38-million waste-to-energy biodigester as part of the city’s goal of using 100-percent renewable energy to power city buildings by 2025. Biodigesters combine organic waste with microorganisms in air-tight tanks, creating a biogas that produces energy to power and heat buildings. City Manager Greg Sundstrom characterized the biodigester as the most sustainable and financially sound solution to the city’s growing excess of food waste from local major food and beverage companies. The project is estimated to be completed by 2019. 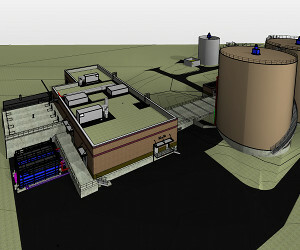 Read more about the biodigester project at grbj.com.